Home / Blog / How do I choose the best yoga mat? How do I choose the right yoga mat if I want to buy a yoga mat? 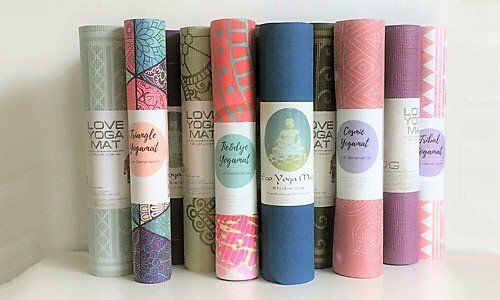 Help, there is so much choice in yoga mats! 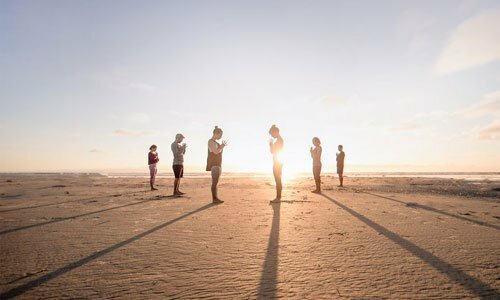 Yoga has grown considerably in recent years. More and more people are discovering that it is a great way to keep your body healthy, to release stress, and to be clearer and more aware of life. A nice extra is that you can practice yoga anywhere and anytime; you do not need expensive fitness equipment or a whole equipment: a yoga mat and comfortable yoga pants are sufficient. Yoga clothing and yoga mats are now available in many different types of shapes and sizes. And this piece will hopefully help you choose that yoga mat that is best for you. Why buy a yoga mat? A good yoga mat makes all the difference for your yoga practice. A mat that for example is not rigid enough, or does not provide enough insulation will certainly distract during your exercises, undermining your security at postures where good grip is important, and in the long term can even undermine your motivation. Traditionally, yoga is practiced on cotton woven mats, grass mats, tiger skins or just on the floor. With the rise of the use of plastics and rubber and with the spread of yoga in the west, around 1960 the first modern yoga mat was developed. This mat was stiffer (sticky) and gave more insulation and cushioning than an ordinary cotton mat. Since then, the modern yoga mat has been constantly developed so that there is now a huge variety of yoga mats in all kinds of different materials, thicknesses, shapes and wear resistance. The main goal is still the same: provide a comfortable and clean surface with good grip and insulation so that you can practice yoga without slipping or getting cold. Ok, what should I look for when I purchase a yoga mat? If you are going to buy a yoga mat, of course you first want to know what to look out for. What are the differences between the various yoga mats and which yoga mat fits best with the style you practice. How much do you want to spend on a yoga mat? 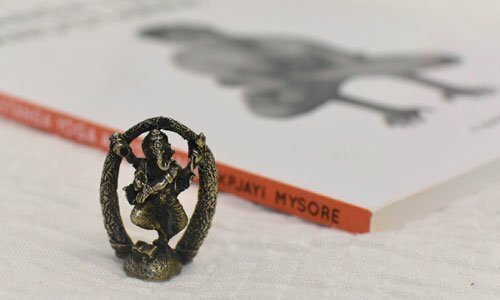 What style of yoga do you practice? Do you need a soft or a slightly harder mat for this? Do you suffer quickly from your joints or a cold floor, or do you practice very often and intensively and do you want a yoga mat that gives you a lot of stability? Is there a color that appeals to you more than any other? A mat that you like in terms of color and design can have a positive effect on your motivation to practice regularly. How intensive is your yoga practice? Do you go to a quiet yoga class once a week, or do you spend an hour and a half working intensively on your mat? Do you want to take your mat with you on the bike? Or does your yoga mat have to fit into your suitcase when you travel? Or do you always practice on the same permanent spot and is the weight of the mat not so important? Is a standard mat enough for me or is it better for me to choose an extra long or wide yoga mat? Is it important for me to pay attention to the type of material due to sensitivity to certain substances, for example rubber? Do I want a yoga mat that is biodegradable? What types of yoga mats are there? These PVC sticky yoga mats are one of the most used yoga mats because they have a rough and sticky surface so you do not slip. The mats are usually 4mm thick which provides sufficient insulation, and at the same time a good stability at e.g. balancing exercises. The mats are perfect for all yoga styles. Only if you practice very hot or intense yoga styles, such as ashtanga or bikram, they can (just like all other pvc yoga mats) get a little slippery due to too much perspiration. PVC has a dense cell structure and does not absorb the moisture. If you perspire quickly during your practice, it is therefore advisable to put a cotton yoga mat or a yoga towel over the mat for extra grip. A sticky PVC yoga mat is a great choice for beginners and, because of the excellent price / quality ratio, also a great choice for people who do not want to spend too much money. These mats weigh little, come with a free lanyard, are both rollable and foldable (and therefore fit in your suitcase). Moreover, they are machine washable and very durable. You can also use them in other places such as outside. Some Love Generation Love yoga mats have a nice print, which of course makes your yoga practice more fun and inspirational. The disadvantage of this mat is that it can become somewhat slippery with perspiration (see also the chapter at the bottom of this page about yoga towels). Furthermore, they are not very thick, which is sometimes a disadvantage for people with painful joints or when you practice on a cold floor. Another disadvantage is the material, PVC. Although this is made with care, it is and remains a plastic made with the help of chemical substances. This makes the mat particularly wear-resistant, but it is not the best option when you think about the environment and health. The price range of these mats varies from € 16,50 to € 27,50. With larger purchase, automatic volume discounts apply. These mats are actually the same as the yoga mats described above, only they have a nice thickness of 6 mm. This gives more comfort and support, and also feels warmer on e.g. a cold floor. This mat is suitable for anyone who wants to practice a bit more comfortably, but is also recommended extra for quieter yoga styles where you do more lying exercises (for example yin yoga, restorative, hatha yoga and mindfulness). Furthermore, this mat is also recommended for elderly and people with joint problems, because you will get less pain in your back, ankles, knees etc. on a softer, thicker surface. These mats are quite a bit, but not much heavier than the Love Yogamats of 4mm, and therefore still easy to carry, for example on the bike. They also come with a free lanyard. Washing in the machine is allowed, but is less advisable because the mat is actually too thick to be able to centrifuge properly. Simply scrubbing under the shower is preferred. A disadvantage of this mat is the aspect that also offers the advantages: the thickness of the yoga mat can give you the feeling of making less contact with the ground because the mat is a lot softer. This allows the balance postures to be slightly more challenging. The price range of these mats varies from € 27,50 to € 32,50. With larger purchase, automatic volume discounts apply. That yoga mats are being developed further and further with the latest technologies can be seen in the TPE yoga mat, a beautiful example of innovation. TPE is an abbreviation of Thermo Plastic Elastomer, also called Thermo Plastic Rubber because this material is a synthetic rubber in the base. TPE yoga mats are biodegradable, made without toxic substances and may therefore carry the Eko quality mark. TPE yoga mats are remarkably soft and elastic compared to a PVC yoga mat. The surface is super-stiff, and because the material has an open cell structure, you will also slip less quickly during a sweaty yoga class. The mat is more neutral in smell than a rubber yoga mat, and is perfect for people with a latex allergy. The disadvantage of this mat is that it is somewhat more vulnerable than a PVC yoga mat. For example, it would be better not to leave the mat in the sun for a long time, or throw it in the washing machine, and the mat will also wear out a little faster with very intensive use (eg an intensive ashtanga practice every day and a half an hour). Due to the softness, optimal grip and extra thickness, this mat is extra fine for quiet yoga styles and combinations such as vinyasa flow and yin yoga. The price of this mat is € 39,50, with a larger quantity a quantity discount applies. Natural rubber yoga mats are available in many different thicknesses and colors, and give a remarkably good grip. Yoga mats made of rubber contain no toxic substances and are completely biodegradable. The rubber for these mats is also consciously and carefully harvested, so e.g. not from the Amazon. In the top layer of the rubber eKO mats from Manduka is a textile layer that ensures that the mat does not crumble. That makes the grip even better, and the mat becomes extra durable. A drawback to the eKO yoga mats is the strong rubber smell. This goes off after a while, but there are quite a few people who because of the smell do not opt ​​for a rubber yoga mat. Even if you are allergic to latex, rubber is not the best choice. In addition, rubber yoga mats are relatively heavy. The ultra-light eKO SuperLite Travel mat is so thin that you will not notice it, but an eKO Lite yoga mat of 4 mm, for example, is a lot more heavy than an equally thick yoga mat made of PVC. Furthermore, rubber can sometimes fade color and also wear more quickly through exposure to direct sunlight. These mats must therefore be treated with a little more love. 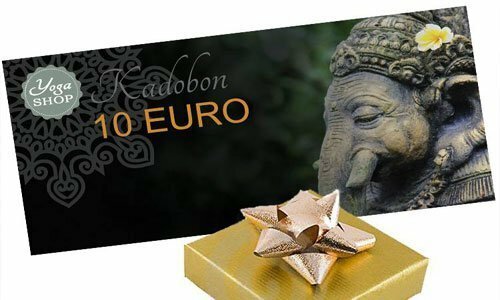 The price of natural rubber yoga mats varies between € 41.95 and € 88.95. 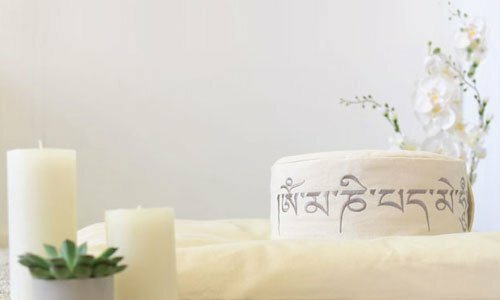 For the yoga mats from the PRO series of Manduka, the same applies to what is written above about the Love Generation Love yoga mat 4mm and the extra thick Love yoga mat. After all, the material is the same: wear-resistant PVC with optimum grip. There are, however, clear differences. Most importantly, the material of the PRO mats is clearly more solid in structure. That makes them a lot heavier, but also even stronger and more durable. Manduka does give a lifetime warranty on their PRO series mats. Manduka regularly changes their always inspiring color collection and all their mats are available in different thicknesses (PROlite 4,5mm and PRO 6mm). Extra long and extra wide mats are also available in the PRO series. 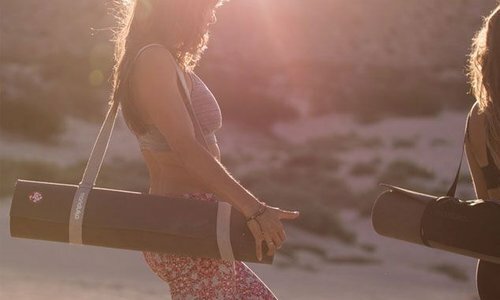 A Manduka PRO yoga mat is especially recommended if you practice yoga several times a week, and are looking for a mat that will give you years of pleasure and will not wear, even in the most intensive yoga practices. Many yoga teachers choose this mat. Prices vary between € 68.00 and € 150.00. Traditionally, yoga is practiced on a cotton-woven yoga mat. Especially if you perspire a little during your practice, a cotton mat gives good grip because it absorbs your sweat. 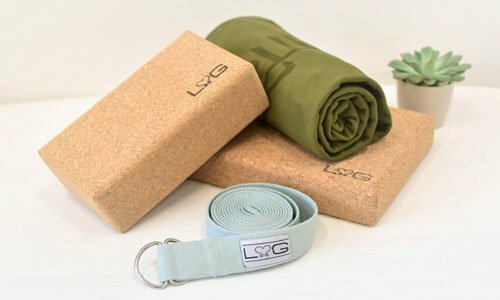 Cotton yoga mats are made from a natural material and therefore also 100% biodegradable. They are easily washable (at low temperatures). 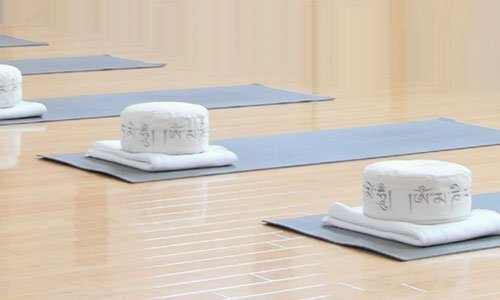 Especially during warm and intensive yoga classes such as Bikram yoga, Hot Yoga, Power yoga or Ashtanga you can see more and more people choosing a cotton mat. The disadvantage of this yoga mat is that the cotton fibers wear rather than rubber, TPE or PVC. The mats are a bit thinner than most yoga mats, so they are sometimes placed over a standard yoga mat, or used on a carpet. On a cold or slippery surface you otherwise have the risk that you will suffer from the cold or that the mat will slide. The price of the cotton yoga rugs is between € 27.50 and € 34.95. For larger purchases, a graduated discount applies. A yoga towel is the ideal solution for anyone who slips on his yoga mat due to perspiration. The towel offers a thin hygienic layer between your yoga mat (of yourself or of the studio) and your body. Yogatowels absorb perspiration and become very stiff; Slipping is thus a thing of the past. The towels are made from (mostly recycled) microfibre, which is a bit stiff by nature. This keeps the towel always in place. In addition, the yoga towel provides a protective layer over your yoga mat. This will cause your mat to wear significantly less quickly. The towels are easy to wash and dry: so you always practice on a clean and fresh surface. The towels are very lightweight, can be folded up small and can also be used as a bath- or beach towel. Ideal for on the go. The disadvantage of yogatowels is that they are very thin and you always have to put something under. That can be a yoga mat, but a thick carpet, for example, is also a good surface. Towels are available with and without print decoration and in various sizes, among others, from our house brand Love Generation. Prices range from € 11.95 to € 44.95. Do you regularly travel or go on a yoga holiday, then it is nice to have a mat that does not take up too much space in your luggage. There are nice travel yoga mats available that are lightweight and that you can also take with you folded, if rolled up does not fit. These mats are usually very thin. If you still want a bit more comfort or want to find a mat that you can use for the longer term, consider a yoga towel that you can use on a borrowed yoga mat on the spot. Besides travel yoga mats, there are also very nice yoga bags available for traveling. As you may have noticed, there are quite a few different mats to choose from, and we hope that it has helped you choose the yoga mat that best suits your needs, yoga style and budget. If you have any questions, please do not hesitate to send us an e-mail. We like to think along with you to find the yoga mat that is perfect for you.